Affordable PHP MVC Framework development to ensure scalable and impressive web applications. 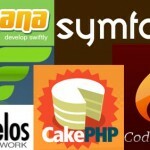 Reduced PHP development cost. Now, you need not deal with complex and unmanageable applications that extensively demand time and effort. We develop powerful, reusable and expressive web applications using powerful MVC Model View Controller (MVC) architecture that separates GUI from PHP logic (Business logic). Not only these applications are easy to manage and work upon, they also reduce the problems of bugs/errors and poor work co-ordination between the designer and the coder. BrainPulse has a professionals team with experience and knowledge to provide web development solutions to your requirements. They leverage the potential of MVC framework to design and develop unique applications with complete functionalities in place. Still have queries? Call us now on 0120-6790400 to get in touch with our PHP MVC Framework Development team. They will tell you about our exclusive PHP MVC Framework development plans made specially for the businesses like you.